The event hosted two high caliber speakers. Dr. Mike Clumpner, President & CEO of Threat Suppression, Inc., held a morning and afternoon session. Dr. Clumpner is a nationally known expert who has provided training for DEA, FBI, emergency management departments, institutions of higher education, school districts, and many others. The morning session focused on the history and profile of the adolescent school shooter. The afternoon session focused on attack actions and active shooter response. Retired Newtown Connecticut Schools superintendent, Dr. Joseph Erardi, served as the lunch Keynote. His presentation, sponsored by CrisisGo, addressed safety strategies and personal experiences after being hired as superintendent following the Sandy Hook Elementary School shooting in December of 2012. Following Dr. Erardi’s presentation, CrisisGo shared information about free communications tools that schools can use to help promote school safety. The event was hosted by Wayne County Public Schools in partnership with Wayne UNC Health Care, a major corporate and community sponsor of the event. Other corporate sponsors included: Piedmont Natural Gas, Mount Olive Pickle Company, CrisisGo, Brewmasters, Franklin Baking Company, Tri-County Electric Membership Corporation, Waylin Area Foundation, TA Loving Construction Company, Shumate-Faulk Funeral Home, R.A. Jeffery’s Distributing Company, SouthCo Distributing Company, Maxwell Regional Agriculture and Convention Center, Wayne Education Network, and Wayne Community College. 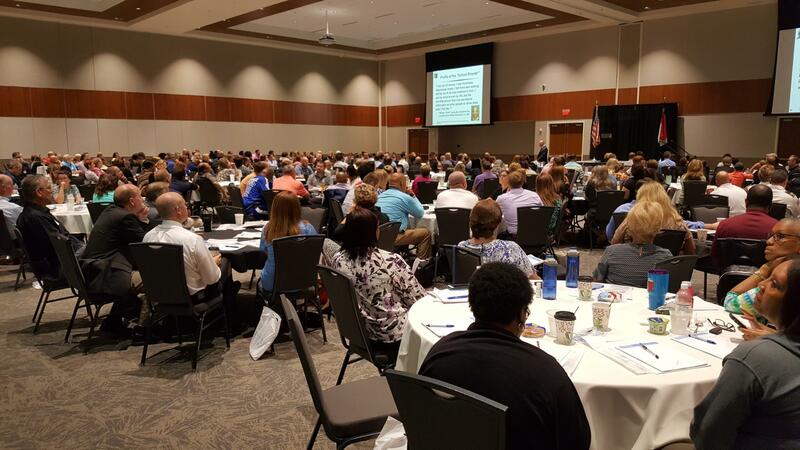 Participants represented public K-12 schools, charter schools, private schools, emergency management, and law enforcement agencies across Wayne County. The event had representatives from school districts, institutions of higher learning, and public safety officials across the region. School communications professionals across North Carolina were also invited, with some traveling as far away as Transylvania County Schools and Caldwell County Schools to attend.